CLOSEOUTS. 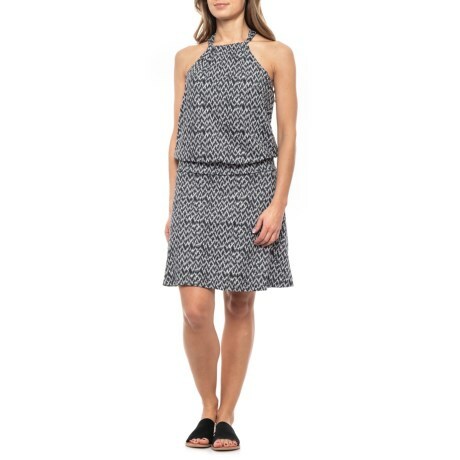 Soon to be a warm-weather favorite, this prAna Pitaya Montezuma dress has a flowing silhouette and a halter-style neck with a strappy T-back so you can enjoy the warm breezes. Available Colors: BLACK PITAYA. Sizes: 2XS, XS, S, M, L, XL, 2XL.